Emergency back-up power and lighting come in quite handy when the electricity to your home suddenly goes out. Ryobi has both a 2-stroke and 4-stroke engine generator to suite your needs. 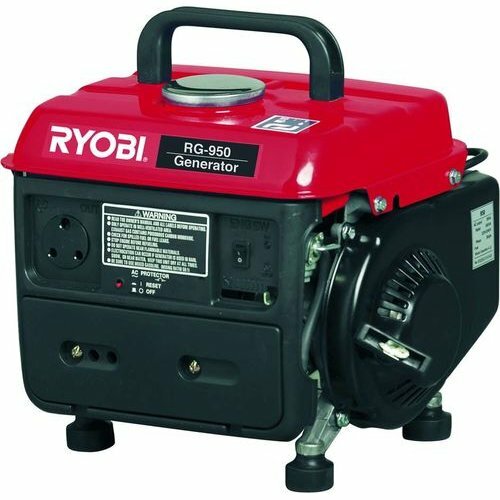 To determine the size generator you will need, total the wattage of the maximum number of items you will be running simultaneously. For items with start-up ratings higher than their run ratings, use the higher rating to determine your power requirements. Inductive load appliances and tools such as refrigerators, washers and power tools require additional wattage for starting the equipment. The initial load only lasts a few seconds on start-up, but it is important when calculating your total wattage. For example, running a 100 watt light bulb, 200 watt cooker, 1200 watt refrigerator with start-up of 2900 watts and a 750 watt TV would require 3950 watts. 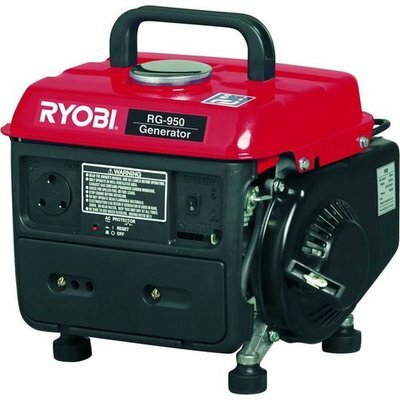 Never exceed the rated capacity of a generator. Always start the largest electrical appliance first, then plug in other items, one at a time. Remember to have good ventilation whenever you run a generator as carbon monoxide gas is deadly!